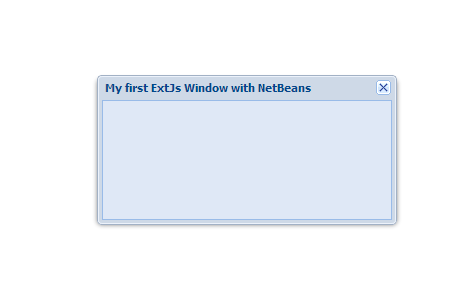 This article shows you a quick start for setting up NetBeans IDE for ExtJS 4 application development. 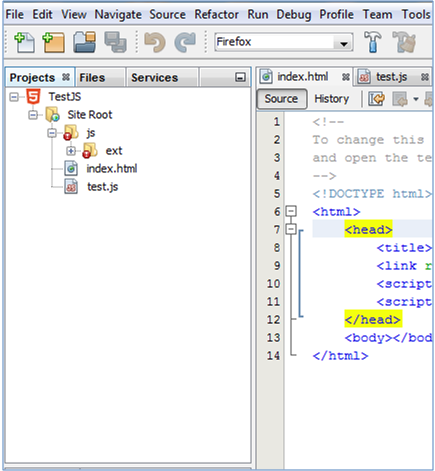 I've found the HTML5 features in NetBeans to provide excellent support for building an ExtJS application, as shown below. 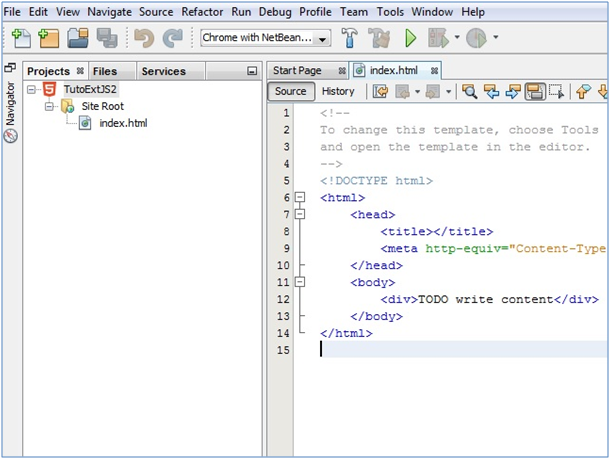 The first thing to do is create an empty HTML5 project in NetBeans by following the tutorial on the official website, that is, Getting Started with HTML5 Applications . 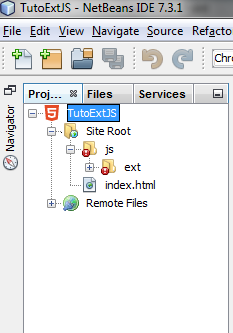 Give a name to your project ( I choosed TutoExtJS) and click on "Finish" button . In order to have the ExtJs 4 librairies, you need to download the framework on Sencha website (sencha ). Unzip the file in a temporary directory and rename it as you wish ( I renamed mine "ext"). Right-click on the node "Site Root" -> "New -> Other -> Folder" and give a name to the folder ( I gave "js"). Your application is ready. Just run the application by right-clicking on the project and "Run".